I am going to guess that most husbands, boyfriends, and uncles that will be watching the superbowl don't really care if their sandwich is shaped like a football, they just don't want it to taste like a football. So here are some party appetizers that men will appreciate and might not even look at before they eat. 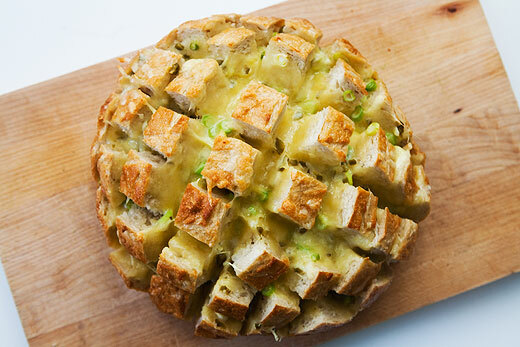 Like this cheesy Jalapeño pull bread from Simple Recipes. And if you don't like jalapeños, You can use the same general idea to make all sorts of cheesy bread treats. Maple Bacon Popcorn. 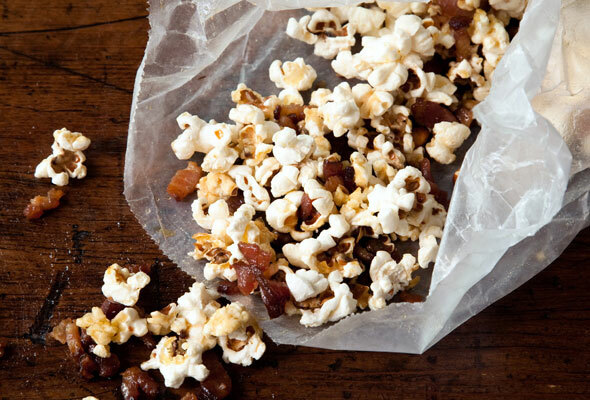 This would be popcorn cooked in bacon fat. I am pretty sure any football loving man would not be able to resist that. You can get the recipe for this popcorn over at Leite's Culinaria. 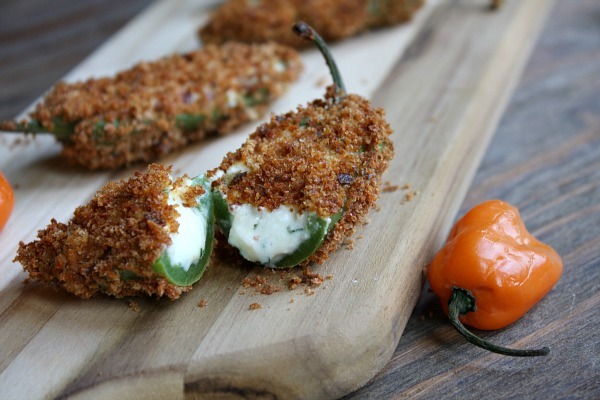 Baked Jalepeño Poppers from Recipe Girl. 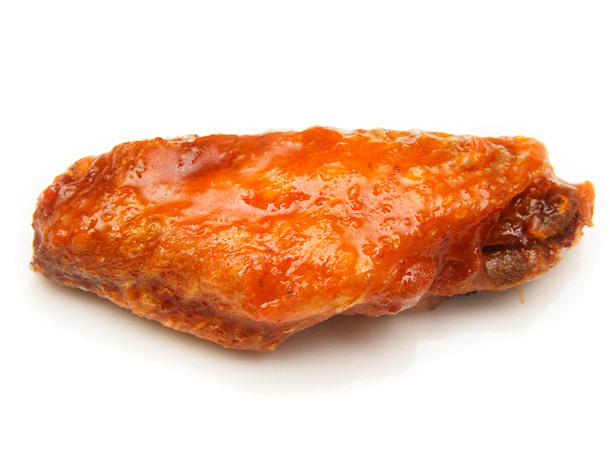 And what is football without wings. Double Fried Buffalo Wings from Serious Eats. Wow, I think I'd love this too. : ) Super posts, Lorie! I've been amiss at visiting..I hope you're having a great year so far! So my husband was sitting on the floor next too me, both of us on our computers. He looks over while I'm scrolling down this post and says "are you make that? Those look good!" I laughed at your post title when I saw it because it's right on! Such man food... why are we so different? The Jalapeno Pull Bread looks yummy!